Not in the nature of acoustic architecture or altering physics, but Samsung do aim to soon provide the world with a type of ‘curved sound’ through a complimentary speaker set for their shaped smart TV sets. The well-known ‘curved UHD TVs’ developed by the South Korean company are designed to add an immersive layer of depth to a person’s large-screen viewing experience, and Samsung will hope that they have made a product that can achieve a similar goal for audio, with a soundbar that is set to match both technologically and aesthetically. The Samsung Curved Soundbar is claimed to be an accessory capable of being applied either by wallmount next to the TV set or as a stand for the full product, measuring in with a 42mm width and ‘curvature radius’ of 4,200mm. This is combined with dual speakers either side of the television, and is noted as offering 8.1 channel support and being compatible with both the ’55’ and ’65-inch’ models of the smart TV. 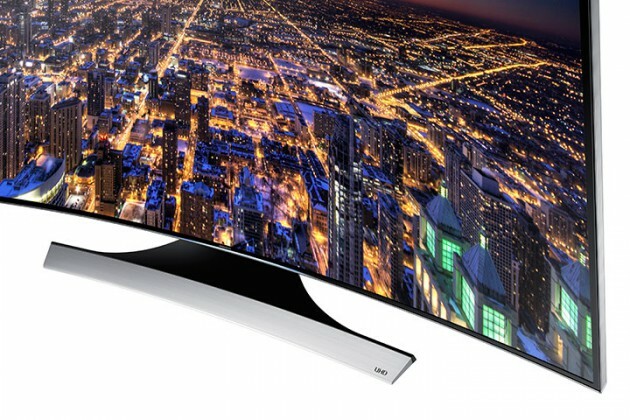 It is also claimed that the TV remote control from Samsung for the main set will be compatible with the Curved Soundbar through their wireless ‘TV SoundConnect’ technology. The device is set to be first demonstrated on 5 September at the IFA Trade Show in Berlin (Germany), so will everyone within the concave radius of impact hear the noises being made as good ones for the next level in audio?